Most narrow boats will have Liquefied Petroleum Gas (LPG) on board. LPG is a convenient fuel and often used for heating and/or cooking on board a narrowboat. LPG can be provided by either butane or propane gas cylinders. Propane is the most common as it continues to work in cold temperatures, unlike butane. 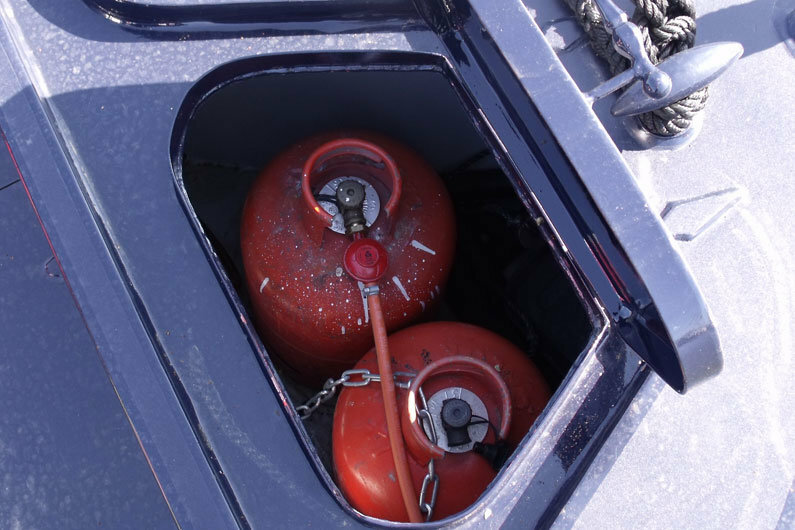 Most narrow boats will have Liquefied Petroleum Gas (LPG) on board and often the large orange canisters can be seen on the back decks or they are hidden from sight in gas lockers. LPG is a convenient fuel and often used for heating and/or cooking on board a narrowboat. LPG can be provided by either butane or propane gas cylinders. Propane is the most common as it continues to work in cold temperatures, unlike butane. As with any fuel, there are dangers to using LPG and these are intensified in the confines of a canal boat more so than in domestic settings. However with care these risks can be minimised. LPG is highly flammable and mixed with air it can become flammable if ignited by such things as an electrical spark, a cigarette or a match. It is not possible though for it to ignite from a mobile phone! Some boaters have attempted to eliminate gas from their canal boats by installing alternative equipment such as diesel-fired cookers and heating. This may be something you discuss with your narrowboat or widebeam boat builder if you are purchasing a new canal boat. Cooking with electric has also been tried but unless you are continuously on shore-line power, it is unlikely you will have the power for an electric cooker. Our appliances section covers diesel and electric cookers in more detail. A standard LPG canister size used on canal boats is 13kg, however bear in mind the actual weight of a full canister is considerably more. Full gross weight is between 25-35 kg which you must consider if physically this could be a strenuous/impossible activity when you are required to change the LPG bottle. It is vital when you are fitting out a narrowboat or replacing a kitchen to ensure there is access to all joints in the gas pipework. 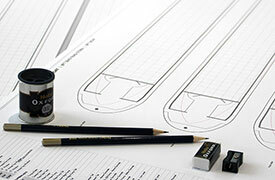 All isolation values must be easily accessible without the need for tools or moving large items. If you are fitting out a narrowboat sailaway you must ensure you are 100% familiar with the regulations within the Boat Safety Scheme. 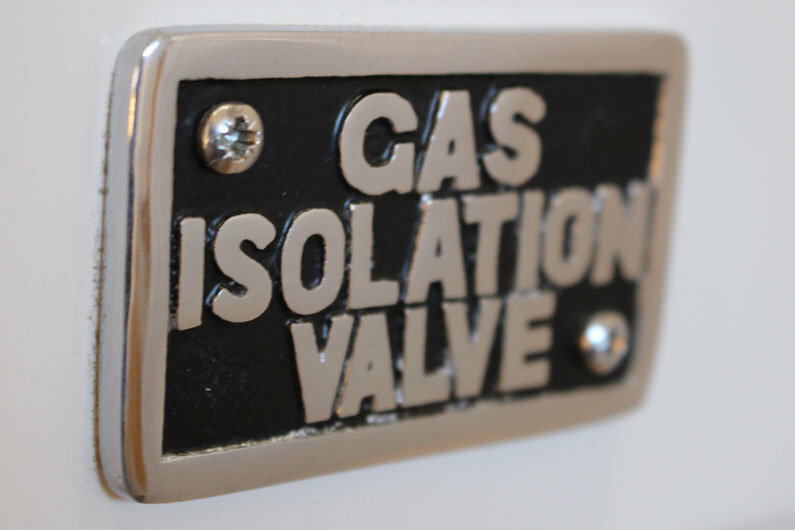 Gas installation and maintenance is certainly an area we would recommend is undertaken by a professional. 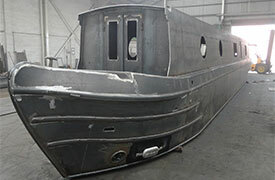 They must be qualified in LPG systems for use on marine craft, as different standards apply to household installations. Please refer to Boat Safety Scheme guidelines as there are 47 individual checkpoints within Section 7 for LPG systems. Vibrations from the engine can cause pipes to wear or chafe and the joints can become loose, therefore all pipework must be secure. Joints must have a clip within 6in of every connection. Familiarise yourself with the requirements of the Boat Safety Scheme. 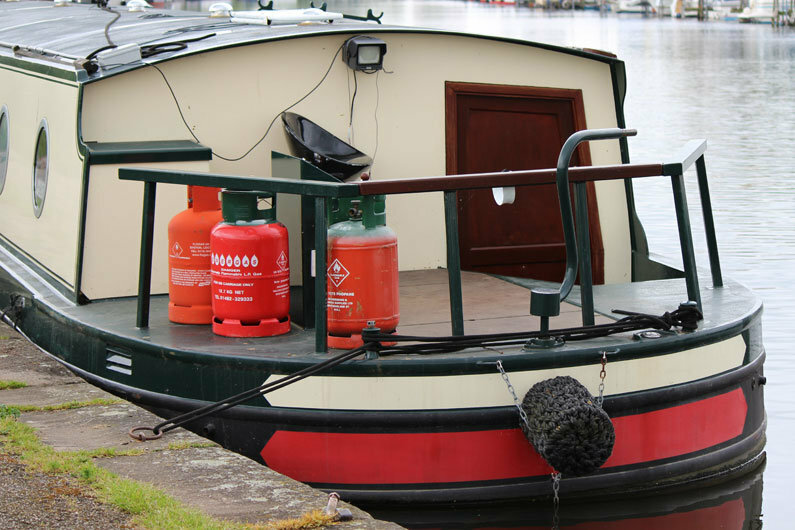 Appliances on board a narrow boat that use LPG, coal, oil, wood or other carbon based fuels require an adequate supply of oxygen to burn efficiently. Inadequate ventilation will starve the burners of vital oxygen resulting in poor burning. Poor burning can produce highly toxic carbon monoxide. Carbon monoxide is a killer at worst and can cause severe brain damage at best. Room sealed appliances take their combustion air supply from specific external flue ducting. However all other appliances, flued or not, will take their combustion air supply directly from the cabin space. The formula used to calculate the fixed ventilation requirement is derived from BS 5482-3 Annex B (Code of practice for domestic butane and propane gas-burning installations — Part 3: Installations in boats, yachts and other vessels), but as extended by BS8511 Annex A (Code of practice for the installation of solid fuel heating and cooking appliances in small craft) to address solid fuel stoves and other appliances. (BSS revision Jan 2013). The formula takes into account the number of people on board the narrow boat as well as the number and type of appliances installed. It uses the output rating of open flued solid fuel appliances and the input rating for all other appliances, distinguishing between those that have flues & those that don’t. This rating is kW, or kilowatts, and this can usually be found on the manufacturers plate on the appliance, in the operating instructions or from the internet. Be honest with yourselves and list the maximum numbers of people who potentially will use your boat. It’s better to be cautious and safe when dealing with carbon monoxide. BSS recommend fixed ventilation is split as equally as practicable between high level and low level outlets. Their examiners will not include vents that can be closed without the use of tools and on adjustable vents such as roof mushrooms, the vent will be measured in its most closed down position. 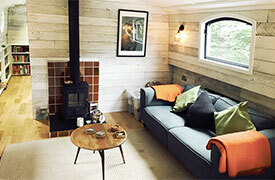 High level is ideally in the cabin roof and commonly takes the form of mushroom vents which often can be adjusted. Ensure yours have a screw stop installed so they cannot be fully closed. 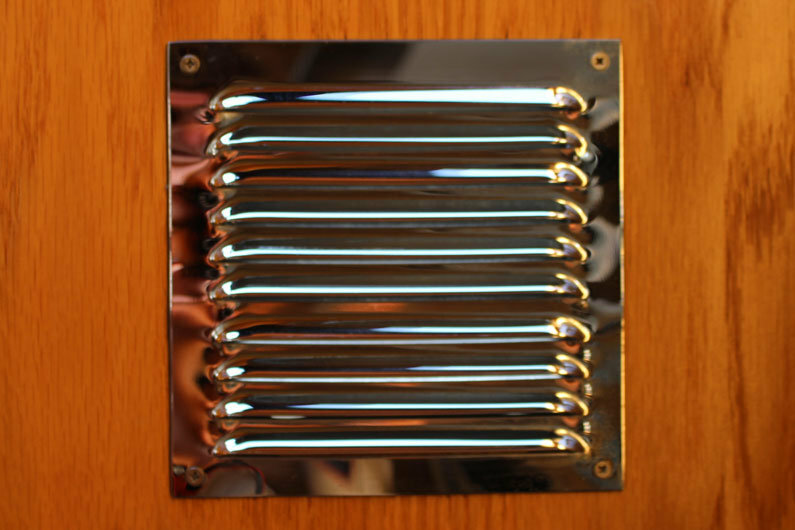 Low level venting can be achieved by letting in cold air through louvre vents in doors, bulkheads or by ducting from a higher level. Cabin bilges should also be open to unrestricted ventilation to prevent the formation of mould from excessive moisture and to protect against the build up of gas in the unfortunate event of system leak. The BSS examiner will carefully examine any fixed ventilation for fly screens or louvres & carefully measure these potential restrictions so as not to render calculations inaccurate. 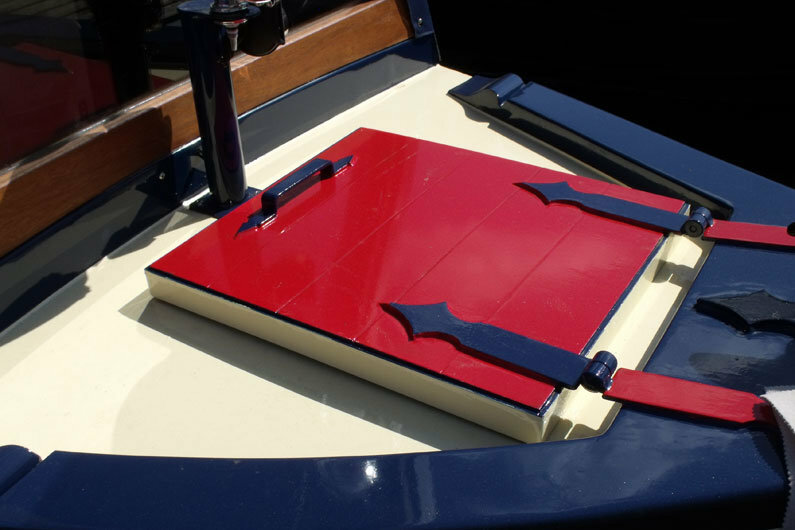 If you are planning to fit out a narrowboat or widebeam sailaway ensure you have allowed for sufficient ventilation as it will be costly to add further ventilation if your canal boat subsequently fails its BSS as a result. Any gas leak is dangerous and unfortunately people are killed every year through gas leaks and explosions. A strong smell of gas is the best indication of a leak, however be aware that shortly before a LPG canister needs replacing you may find a gas smell more noticeable. LPG is heavier than air which is why gas leaks on-board a canal boat are a particular risk. A regulator will be fitted to either the bottle directly or close by in the locker and connected with flexible pipe. The purpose of the regulator is to take the high pressure gas from the bottle and regulate down to the low pressure gas required by your appliances. Regulators do wear out over time so Calor recommend they are replaced every 10 years. A bubble tester is a simple and relatively cheap way to ensure the system is leak free. A bubble tester can be connected between the regulator and the pipe in to the canal boat and used to check for leaks. To do this, ensure all appliances are off; press the red button for about 1 minute; if no bubbles are seen, there are no leaks. If you had an appliance on you would see a steady flow of bubbles in the chamber. A bubble tester encourages boat owners to manually test for gas leaks regularly rather than waiting for the 4 years to pass for the Boat Safety Scheme. Gas leaks can also be tested using washing up liquid mixed with a small amount of water spread over the pipe or joint. If a gas leak is present the solution will bubble. Ensure the liquid is removed after testing as it is mildly acidic. Carbon monoxide is dangerous and can kill. It is colourless, odourless and tasteless. When a carbon-based fuel is burned without sufficient air, carbon monoxide is produced. A good way to check your gas appliance is burning correctly is from the colour of the flame. It should be burning blue, but if flames have yellow tips or are smoking this would indicate a problem. It could simply be food residue is blocking holes on the burner or the appliance may be faulty. 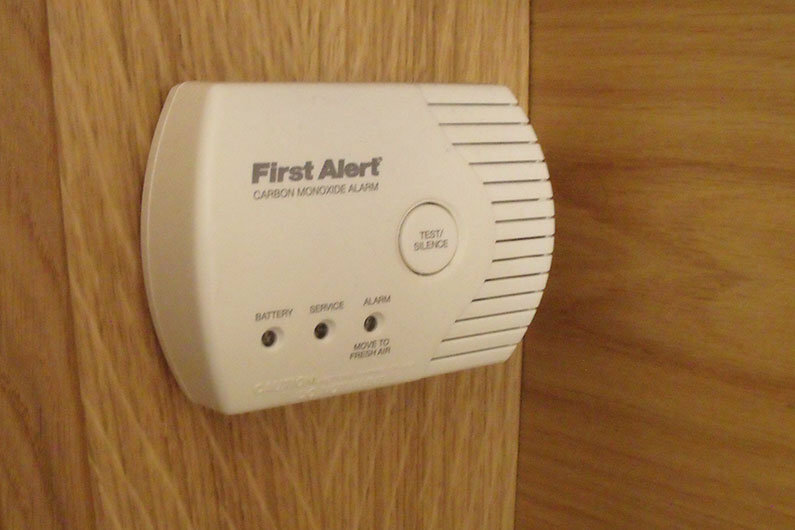 CO alarms are not expensive, ranging from £20 upwards for good quality units. It should have an audible alarm and if possible a strobe light which alerts those who are hard of hearing. Portable detectors are also available (freestanding and wall mountable) and ideal if you don’t live abroad as can be used in the home, caravan etc. The Boat Safety Scheme advises narrow boat owners not to use portable gas appliances e.g camping stoves on board their boats as they are predominately designed for use in the open air. However, they are not banned and can be used safely if care and attention is given. During the fit out of a canal boat a portable appliance can be invaluable to provide a hot drink or dinner prior to a gas cooker being installed.